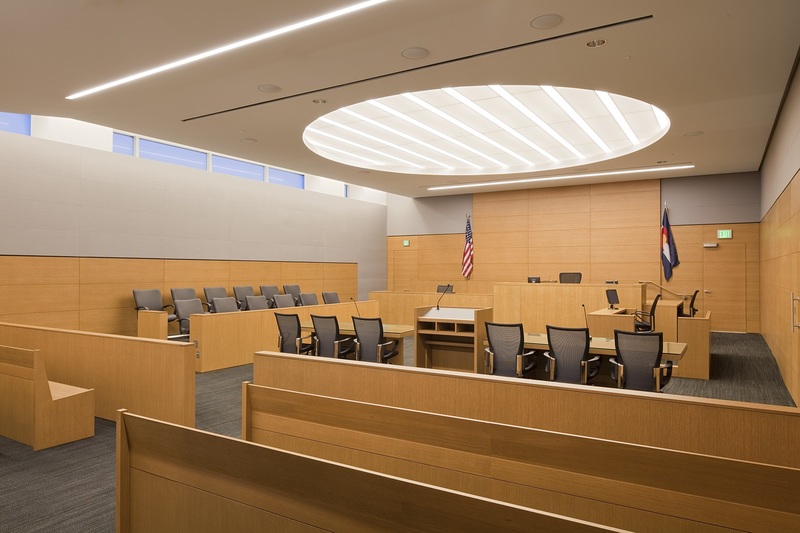 To better serve the justice and safety needs of Denver residents, we teamed up with city officials to design an iconic new courthouse in the heart of downtown. 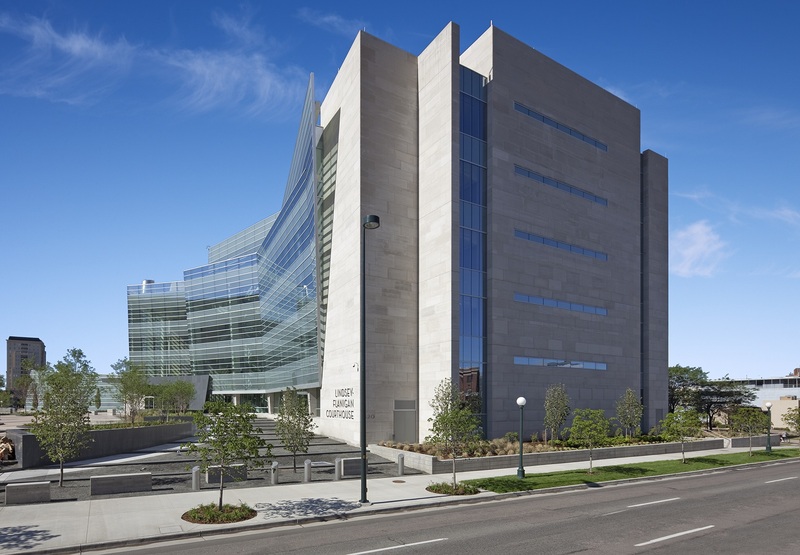 The courthouse was the last piece to the landmark Denver Justice Center, a complex linking the central business district with the surrounding bustling neighborhood. 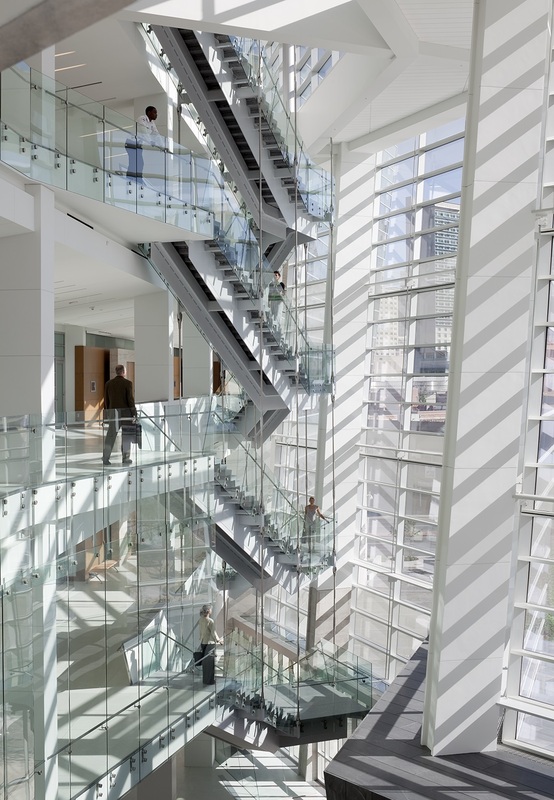 Lauded for its seamless integration of design, safety and technology, the courthouse is widely recognized as one of the most architecturally significant new justice buildings of the 21st century. 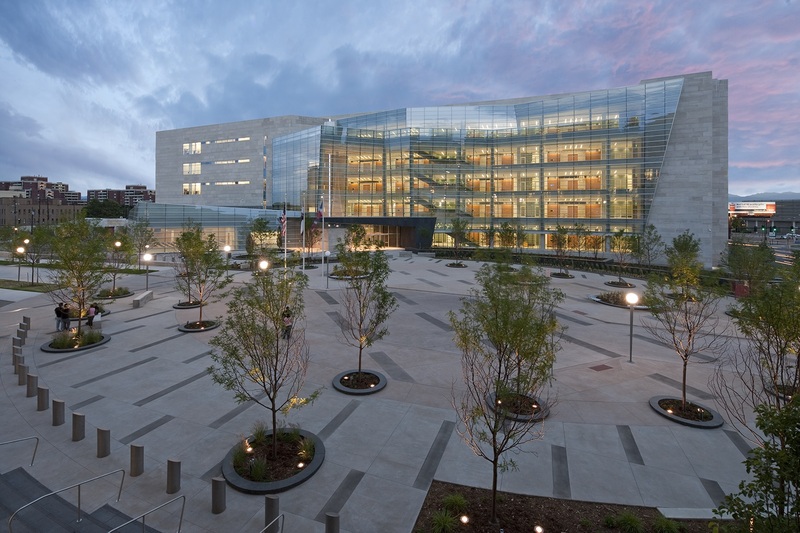 The 317,000 sf building provides court functions for state and county criminal courts and state juvenile courts within 35 courtrooms, as well as space for several administrative functions. 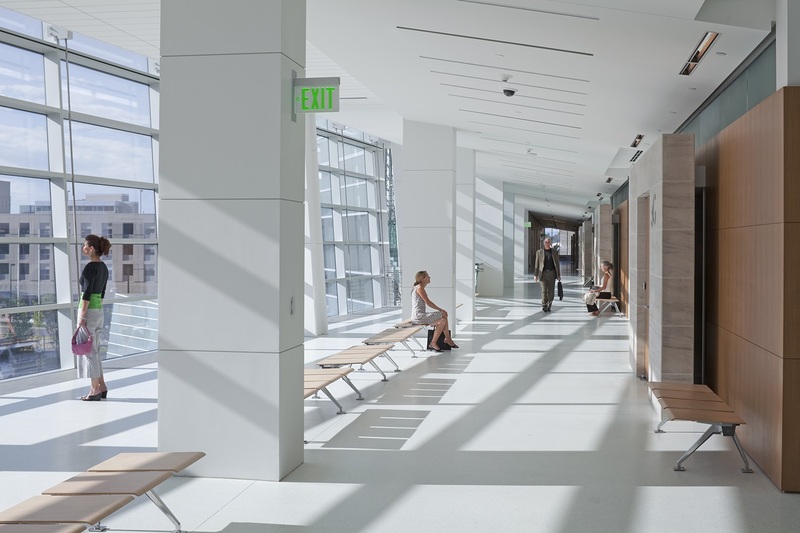 Whereas safety in the previous courthouse was a regular concern – for example, prisoners and judges used the same elevators and hallways as the public – the new facility provides clear separation of traffic flows and designated areas for each. 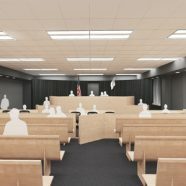 Judges now have private elevators going up to their chambers, while prisoners are transported from a neighboring detention center through a 200-foot underground tunnel. 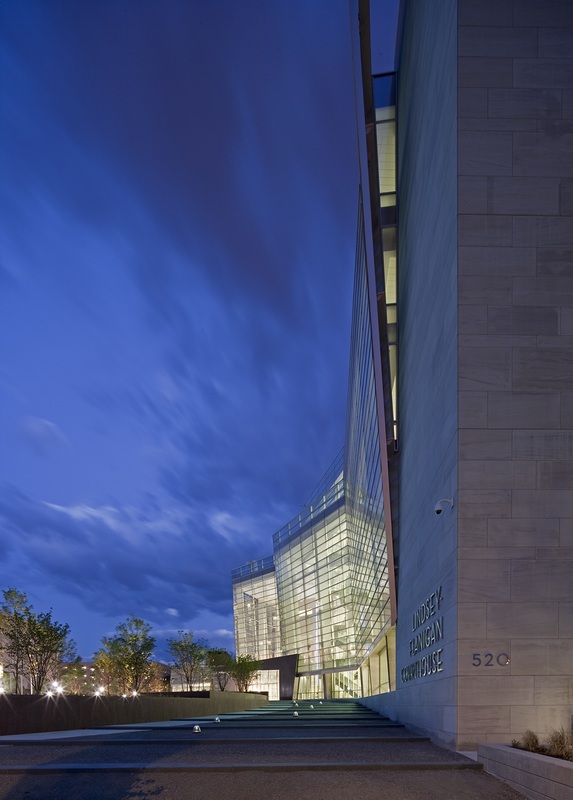 The building’s architecture symbolically expresses the importance of justice and its place in Denver, as well as the community’s commitment to fairness and resolution. Acting as a lantern from which this symbolism emits is a folding wall of glass on the east side of the building that soars 92 feet high. 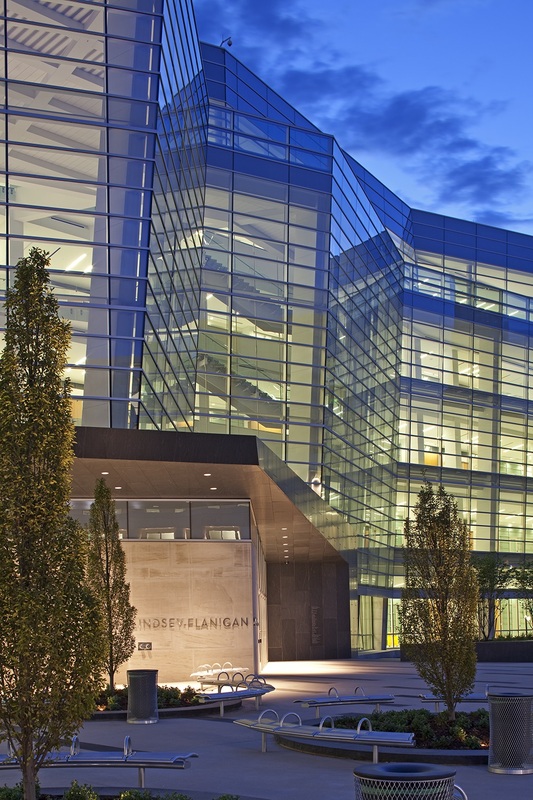 Glowing across an expansive central plaza, this glass lantern connects the building to the city, inspiring trust and creating a celebrated community landmark. 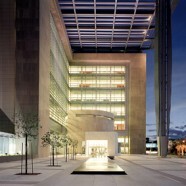 The courthouse achieved LEED Gold certification.